A key part of construction and other industries is often accessing hard to reach places – those that are too high for a standard ladder. If you’re looking for a safe and effective way to undertake these jobs without putting you or your team at risk, then premium access equipment is the answer! No matter what the task at hand, from installing lights on the exterior tall buildings to carrying out maintenance within factories, a scissor lift is one piece of machinery that you should never go without. However, what you may not realise is that scissor lift hire is often a better option than buying the equipment outright! Many people avoid ever investing in quality machinery because of the exorbitant amount they cost to purchase. Not only does this mean they can’t quickly and effectively execute the jobs they are undertaking, smaller companies and start-ups often miss out on jobs all together because they don’t have the equipment they need. With , you can use the best access tools on the market, without worrying about the initial outlay. In addition to the initial start-up costs of purchasing new machinery, many companies overlook the costs of ongoing maintenance. Servicing and repairs play a critical role in keeping your scissor lifts working to optimal standards and keeping your employees safe and secure, but it can often set businesses back at a time when they least expect it. In hiring equipment, the onus of repairs and maintenance falls on the hire company – and we take your safety very seriously, using state-of-the-art software monitors and working with skilled technicians and mechanics. Do you have a project coming up where access equipment is a must, but don’t know if it will be needed once the project is completed? Perhaps you know your business is significantly more business during certain months or seasons, and machinery sits idle for the rest of the year? If that sounds like you, then purchasing a scissor lift outright might not be the best decision. With both short and long-term contracts available, Liftech can help you with all of your access needs. We know that every job site is different, and every project has different requirements. That’s why we have a wide range of scissor lifts available, allowing you to choose the option that best suits your needs. Consider the height you need to reach, the number of people you need to carry, the surface you will be driving on, and whether you’ll be working indoors or outdoors! When it comes to accessing difficult places on your construction sites or factory, there is no denying that scissor lifts can be the ideal solution. However, if you’re putting off your purchase due to concerns about cost, you’ll be happy to learn that there is another way! 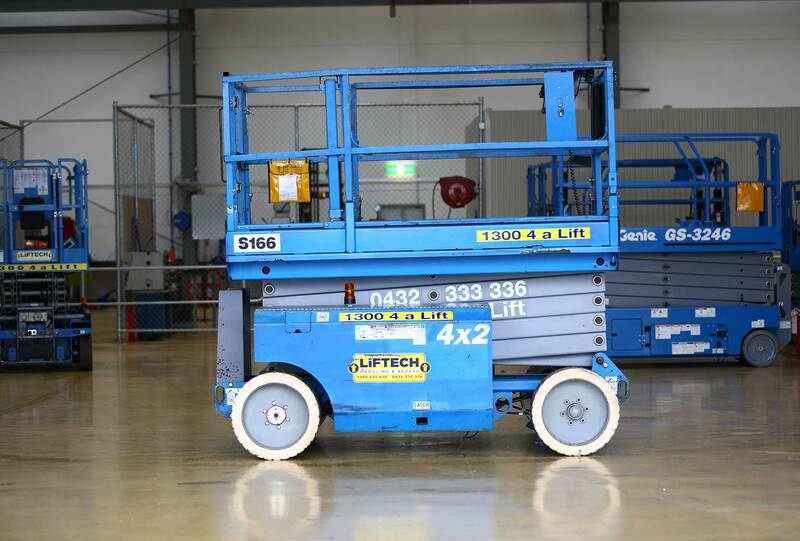 With scissor lift hire, you can take advantage of everything that comes with a premium piece of equipment without worrying about exorbitant costs. Speak with Liftech today to see how renting access machinery can help your business.